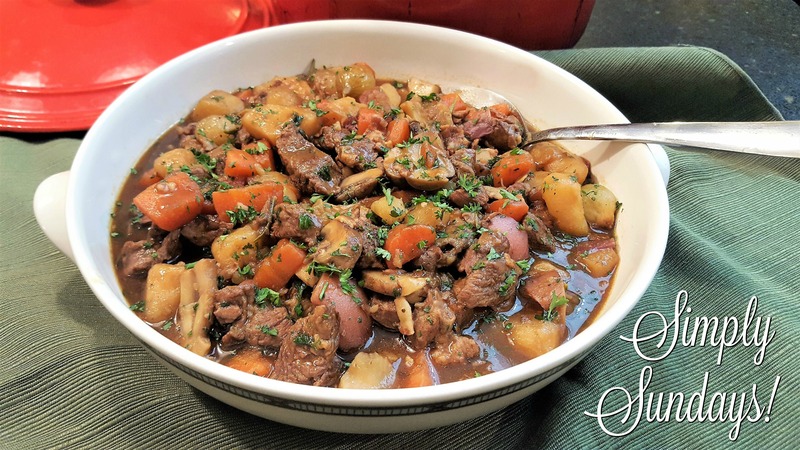 Irish Lamb Stew – Simply Sundays! Hearty, warming and filling whats not to like? Dig into a warming hearty bowl of Irish Stew! I love a good hearty stew which is packed with flavours. A ideal dish for the cold weather and St. Patrick’s day. What a wholesome stew with lamb and so many varieties of veggies. Perfect comforting meal for cold days. There are so many things I adore about this stew! First of all, it’s lamb, obviously! Next the Guinness Stout is huge! And I love all of the veges you added! Especially the pearl onions! They are so underrated! I love a good stew but most often make beef as lamb isn’t so widely available here in Northern Italy! But it’s my favourite meat! Going to keep this stew in mind next time I have some lamb! Looks so good and warming! Thanks Jacqueline! The recipe would work just as well with beef but I hope you come across some tasty lamb!